Because of the unstable snow conditions, the plan was to have the course go around Hausberg. Heavy snowfall delayed the test runs and caused the downhill to be postponed until Sunday. The slalom took place on Saturday. This gave them time to prepare the classic course. FIS technical delegate Fredi Fuchs had seen enough. The elite downhill racers got through the final straight compression unscathed. But the soft fresh snow was a trap for the weaker athletes. It was one crash after another. The Italian Franco Tach had to be transported out with the torn crucial ligament. Fuchs halted any further runs. The downhill race was postponed until Sunday and the slalom took place on Saturday. This angered K.S.C. president Toni Sailer. "What do they want? Its either too hard, or too soft", complained Sailer about the team manager who had supported this decision. The slalom specialists profited from this change to the program. They were now the centre of attention and provided anexciting competition. 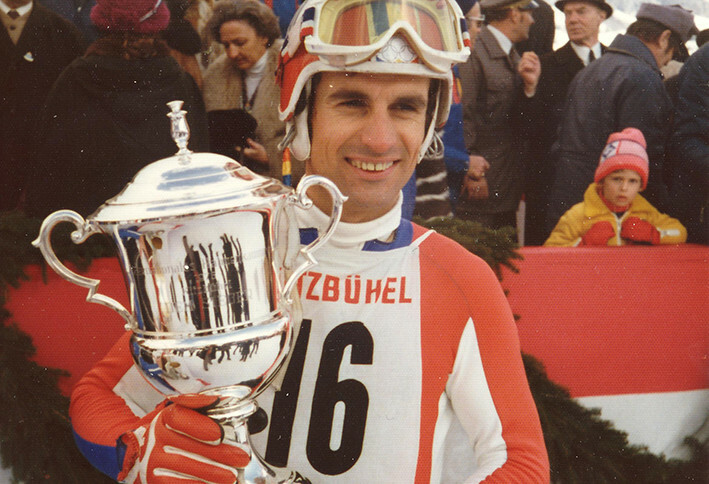 Ganslernhang was the showcase for a duel between Ingemar Stenmark and the Italian team. Those who thought the Swede lost his chance after coming in third in the first run behind Piero Gros and Gustav Thöni were wrong. In the second run, Stenmark put in an excellent showing and was able to catch up with the competition from southern Europe. The Austrian hope, Hansi Hinterseer, was catching up rapidly. 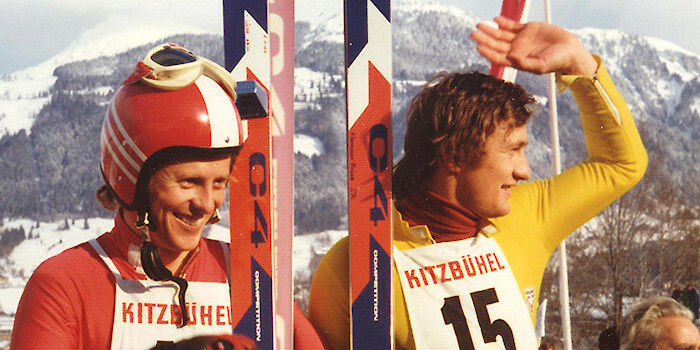 But Hinterseer's luck didn't hold out: he caught a control gate and dropped out of the race; a disaster for the Austrian ski Association. 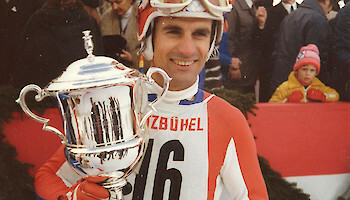 The best Austrian was Thomas Hauser, who was slowed by a leg injury and limped home in 25th place. This hadn't happened at the Hahnenkamm race for a long time. Even president Rudolf Kirchschläger could only resort to gallows humour: "That's just our European hospitality: we set up the course to give everyone a chance to win." What nobody had counted on: Josef Walcher from Schladming also fought his way to the top. With start number 26, he wound up in third place and stirred up the rankings again — this was unfortunate for the photographers who had already asked Walcher's countryman Werner Grissmann to be in the victory photo. The Swiss received consolation for the misfortunes of their ski team. Walter Tresch came in 14th place in the slalom and 9th in the downhill. But these results were more consistent than all of the other competitors — and he could celebrate being added to the list of Hahnenkamm combined winners.